(Verso, frame) upper left, typed adhesive label: "Allan Sekula/ War Without Bodies/ 3." 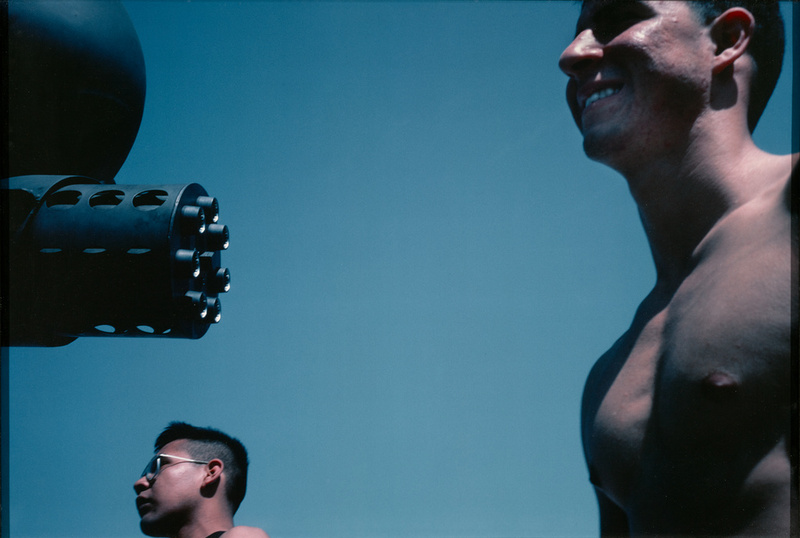 Two men standing in front of a multi-barrel artillery gun, smiling. This image is part of a multi-image installation work presenting a commentary on the military-industrial complex.